Along with other directors, he is being accused of breaching his fiduciary duty to shareholders by leading New York law firm Goodkind Labaton Rudoff and Sucharow. The action alleges that the former Tory minister and other directors should have known that shares in the company were "an imprudent investment alternative" for Marsh employees. It follows a collapse in shares of the company after New York’s attorney general Eliot Spitzer alleged his office’s review of documents from 2003 found that Marsh collected $800 million (£431m) in improper contingent commissions - more than half of the $1.5 billion (£907,000) in profit it reported - last year in return for business. 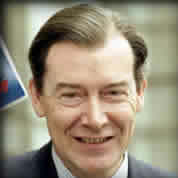 Other prominent UK politicians to have been hit by problems on the other side of the Atlantic have included the former Washington-based British Ambassador, Sir Christopher Meyer, who was a non-executive director of the American bank Riggs which was accused of money-laundering, and former Tory minister Lord Wakeham, who was on the board of collapsed energy giant Enron. Lord Lang joined the Marsh group as a non-executive back in November 1997. A former MP for Galloway and Upper Nithsdale from 1979 to 1997, he was Scottish Secretary from 1990 to 1995 when he took over as trade and industry secretary until 1997. Along with other non-executive directors of Marsh & McLennan, he recently announced that he had authorised a thorough independent review of all activities. "We have full confidence in the company’s leaderships," the directors said in a statement yesterday. "When the review has been concluded, the board will take all appropriate action in the interests of our shareholders, employees and clients." Spitzer has a history of taking tough action on leading names on Wall Street - last year he was involved in a near £1bn settlement with top stock broking firms after allegations that their research was biased in favour of client companies ahead of the collapse of shares in a number of big internet companies. Marsh & McLennan is now the world’s best-known as well as biggest insurance broker following its alleged involvement in the scandal. Last week, as legal dangers hung over it, trading was revealed as suffering badly as a result, with profits down 94 per cent in the past quarter. Marsh has also just announced that 3,000 of its workforce - one in ten of the total - are to lose their jobs. SCOTTISH Tory heavyweight Lord Lang was last night under further pressure to quit his lucrative post on the board of a huge American insurance company after it emerged that a federal financial watchdog is probing executives’ and directors’ investments in controversial schemes that have brought in billions of dollars over the past 10 years. 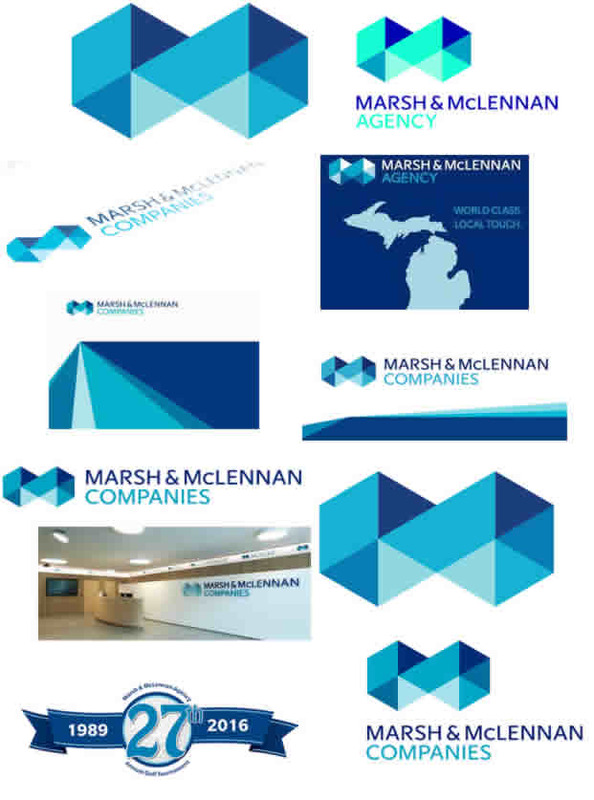 Marsh & McLennan, the world’s largest insurance brokers, admitted that the Securities and Exchange Commission (SEC) had begun a formal investigation into investments by its executives and directors in partnerships set up by the company. The revelation follows months of damaging claims about alleged "fraudulent and illegal" schemes entered into by the company. The new investigation has brought the business affairs of a man who was president of the Board of Trade in the last Tory government back into the spotlight. Pressure has been mounting on the directors of Marsh, including Lang, since the firm was accused by New York Attorney General Eliot Spitzer of manipulating insurance bids to collect inappropriate fees, collusion, improper steering of business, paying rivals not to make competitive quotes and threatening firms that would not agree to Marsh’s controversial deals. As a result of the law suit, several executives of Marsh have resigned and executives of several other insurance firms have been arrested on anti-trust charges. This has started a wider investigation into insurance companies and their practices in the US. Following the Attorney General’s action Lang was named, along with other directors, in a class action against the company which alleges "bid-rigging schemes" and breach of fiduciary duties to Marsh shareholders. A statement from the company said: "We take very seriously the allegations made public by Attorney General Spitzer. We are committed to getting all the facts, determining any incidence of improper behaviour, and dealing appropriately with any wrongdoing. This is our highest priority." Lang’s seven-year stint with the troubled insurance giant has been a lucrative one. He received more than £71,000 in fees, stock and expenses from the group last year and owns shares worth more than £140,989. But the controversy surrounding Marsh has increased pressure on Lang to resign his directorship. It has also focused fresh attention on the former Scottish Secretary’s mixed fortunes in the business world since he relinquished his post as the UK’s trade supremo after the Labour landslide. Lang was one of a group of Lloyd’s Names who went to court in 1996, while he was still at the Board of Trade, alleging negligence by underwriters who carried out catastrophe reinsurance business. He is believed to have lost some £800,000 in the collapse of the Lloyd’s system. His syndicate was one of those involved in the reinsurance spiral whereby syndicates reinsured each other against catastrophe claims. After he left office he pursued another legal action against Lloyd's, along with other names, claiming the organisation had failed to meet the terms of an agreement to reimburse their legal fees as part of a deal in which they agreed to drop a suit against an incompetent agent. The former minister’s involvement in the business world has been beset with problems. As recently as Christmas Eve, Thistle Mining, the Scottish-Canadian gold-mining firm he chaired, confirmed that its executive office in Edinburgh was to close. The setback emerged after the company announced the departure of president and chief executive Willie McLucas, amid financial restructuring proposals which would see principal lender Meridian Capital seize control of the company. The drastic shake-up, which followed a series of disappointing financial returns, renewed speculation over Lang’s future at the helm. The problems with Marsh are a further blow to Lang’s business career, and threaten to plunge him into an embarrassing ordeal similar to that endured by his former ministerial colleague Lord Wakeham. Wakeham was forced to resign as chairman of the Press Complaints Commission because he was on the board of Enron, the collapsed energy giant. The latest legal action case against Marsh alleges that the firm forced its employees to use their retirement savings programmes to invest heavily in its shares. Employees face heavy losses since the firm’s stock plunged after Spitzer’s allegations. The revelations about the SEC investigation will increase the pressure on all those in the Marsh hierarchy. Marsh last week confirmed that the SEC had requested documents and other information about "related-party transactions" in which directors, executives or large Marsh shareholders acquired a material interest, according to a report in the New York Times. The transactions included dealings with the company’s Trident funds, which were created by MMC Capital, the company’s private equity business, and specialised in investing in insurance companies and in starting insurance companies. The Trident funds, based in the Cayman Islands, have raised more than $3bn over the past decade from outside investors and Marsh executives and directors. Although it is not unusual for financial and insurance companies and their executives to invest together in partnerships created by the companies, it is rare for directors of a company, whose duty is the interest of shareholders, to do so. The Trident III fund that was set up last year excluded directors from investing. Lang did not respond to requests for an interview. Ian Lang MP. Marsh & McLennan. Ian Lang MP. Marsh & McLennan. Ian Lang MP. Marsh & McLennan. Ian Lang MP. Marsh & McLennan. Ian Lang MP. Marsh & McLennan. Ian Lang MP. Marsh & McLennan. Ian Lang MP. Marsh & McLennan. Ian Lang MP. Marsh & McLennan. Ian Lang MP. Marsh & McLennan. Ian Lang MP. Marsh & McLennan. Ian Lang MP. Marsh & McLennan. Ian Lang MP. Marsh & McLennan. Ian Lang MP. Marsh & McLennan. Ian Lang MP. Marsh & McLennan. Ian Lang MP. Marsh & McLennan. Ian Lang MP. Marsh & McLennan. Ian Lang MP. Marsh & McLennan. Ian Lang MP. Marsh & McLennan. Ian Lang MP. Marsh & McLennan. Ian Lang MP. Marsh & McLennan. Ian Lang MP. Marsh & McLennan. Ian Lang MP. Marsh & McLennan. Ian Lang MP. Marsh & McLennan. Ian Lang MP. Marsh & McLennan. Ian Lang MP. Marsh & McLennan. Ian Lang MP. Marsh & McLennan. Ian Lang MP. Marsh & McLennan. Ian Lang MP. Marsh & McLennan. Ian Lang MP. Marsh & McLennan. Ian Lang MP. Marsh & McLennan. Ian Lang MP. Marsh & McLennan. Ian Lang MP. Marsh & McLennan. Ian Lang MP. Marsh & McLennan. Ian Lang MP. Marsh & McLennan. Ian Lang MP. Marsh & McLennan. Ian Lang MP. Marsh & McLennan. Ian Lang MP. Marsh & McLennan. Ian Lang MP. Marsh & McLennan. Ian Lang MP. Marsh & McLennan. Ian Lang MP. Marsh & McLennan. Ian Lang MP. Marsh & McLennan. Ian Lang MP. Marsh & McLennan. Ian Lang MP. Marsh & McLennan. Ian Lang MP. Marsh & McLennan. Ian Lang MP. Marsh & McLennan. Ian Lang MP. Marsh & McLennan. Ian Lang MP. Marsh & McLennan. Ian Lang MP. Marsh & McLennan. Ian Lang MP. Marsh & McLennan. Ian Lang MP. Marsh & McLennan. Ian Lang MP. Marsh & McLennan. Ian Lang MP. Marsh & McLennan. Ian Lang MP. Marsh & McLennan. Ian Lang MP. Marsh & McLennan. Ian Lang MP. Marsh & McLennan. Ian Lang MP. Marsh & McLennan. Ian Lang MP. Marsh & McLennan. Ian Lang MP. Marsh & McLennan. Ian Lang MP. Marsh & McLennan. Ian Lang MP. Marsh & McLennan. Ian Lang MP. Marsh & McLennan. Ian Lang MP. Marsh & McLennan. Ian Lang MP. Marsh & McLennan. Ian Lang MP. Marsh & McLennan. Ian Lang MP. Marsh & McLennan. Ian Lang MP. Marsh & McLennan. Ian Lang MP. Marsh & McLennan. Ian Lang MP. Marsh & McLennan. Ian Lang MP. Marsh & McLennan. Ian Lang MP. Marsh & McLennan. Ian Lang MP. Marsh & McLennan. Ian Lang MP. Marsh & McLennan. Ian Lang MP. Marsh & McLennan. Ian Lang MP. Marsh & McLennan. Ian Lang MP. Marsh & McLennan. Ian Lang MP. Marsh & McLennan. Ian Lang MP. Marsh & McLennan. Ian Lang MP. Marsh & McLennan. Ian Lang MP. Marsh & McLennan. Ian Lang MP. Marsh & McLennan. Ian Lang MP. Marsh & McLennan. Ian Lang MP. Marsh & McLennan. Ian Lang MP. Marsh & McLennan. Ian Lang MP. Marsh & McLennan. Ian Lang MP. Marsh & McLennan. Ian Lang MP. Marsh & McLennan. Ian Lang MP. Marsh & McLennan. Ian Lang MP. Marsh & McLennan. Ian Lang MP. Marsh & McLennan. Ian Lang MP. Marsh & McLennan.